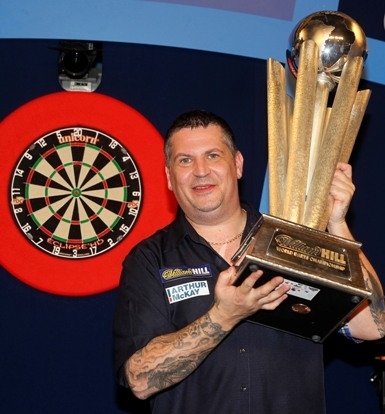 The biggest tournament in darts is to expand further as the William Hill World Championship grows to include 96 competitors and a record £2.5 million prize fund, including a huge £500,000 to the 2018/2019 champion. In the biggest development for the tournament since its move to London's Alexandra Palace a decade ago, the World Championship will continue its remarkable growth both on and off the oche this year. The sport's biggest event has seen 72 players in recent years competing in a festival of darts across the Christmas and New Year period, with live coverage on Sky Sports being broadcast worldwide. 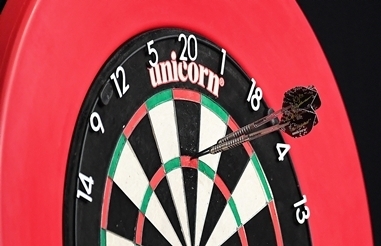 One thing that won’t be changing, however, is that the event will continue to be played on the Unicorn Eclipse HD2 dartboard. The introduction of 24 further qualifiers will see the field increase to 96 competitors, with additional professionals joining an expanded group of international qualifiers which will include two female contenders. Six additional sessions will be added to this year's schedule to accommodate the extra matches, providing greater opportunities for fans to see the World Championship live following the sell-out interest at Alexandra Palace in recent years and a 30 percent increase in Sky Sports’ live coverage to over 110 hours. Title sponsors William Hill have also extended their commitment to darts' flagship tournament with a contract to further their support of the World Championship until 2022. "The William Hill World Darts Championship has become a phenomenon in worldwide sport given its incredible growth in recent years, but this announcement takes the tournament to a whole new level," said PDC Chairman Barry Hearn. "The backing of our sponsors William Hill and worldwide broadcasters led by Sky Sports has been matched by the incredible interest from fans who flock to Alexandra Palace every Christmas and watch around the globe. Grant Williams, Managing Director of William Hill Online, said: "We're delighted to extend our sponsorship of the World Darts Championship. Tickets for the 2018/2019 William Hill World Darts Championship will go on Priority Sale to PDCTV-HD Annual Subscribers on Monday July 23 and on General Sale from Monday July 30. Hospitality Packages will go on sale from Tuesday July 31. Ticket information will be available at www.pdc.tv/tickets.